Ferrule – This is the small ring of plastic that circles the shaft of the golf club where it enters the clubhead. On most modern clubs, the ferrule is purely aesthetic. 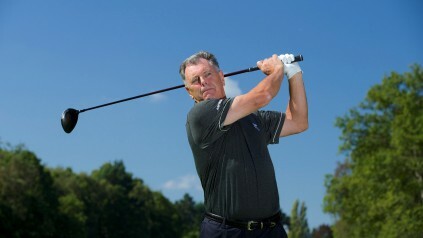 Out of the screws – To hit a ball flush out of the centre of the club face. 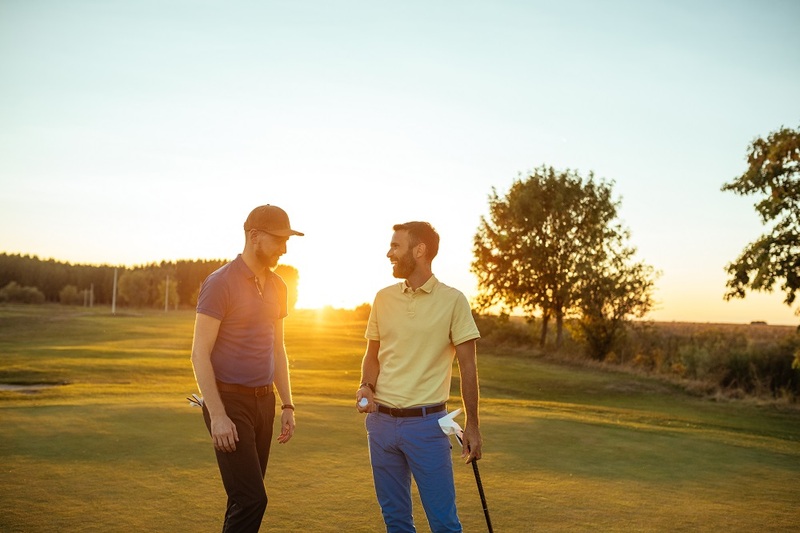 This term harks back to the days when the face of a driver or wooden-headed club was literally screwed into the clubhead and one ‘out of the screws’ had come straight from the middle. Unmentionable – The unmentionable is… say it quietly… a shank. A shot striking the hosel of the club and a portion of the face, before squirting off at near right angles. This term is also known as: The socket rocket, the Lucy Locket, the J. Arthur (Rank), the Ravi (Shank-ar), the Armitage (Shanks), the Scottish shot (from the fact it’s unmentionable much like ‘the Scottish play,’) and the Sherman (Tank). Dunch – A horribly fatted pitch or chip shot that barely moves from its original spot. Knife – A horribly thinned pitch or chip shot that flies across the green at knee height, invariably into some awful trouble on the other side. Nassau – A type of golfing wager originating from Nassau Country Club on Long Island, New York. Basically, it divides the game into three and you have bets on the front nine, the back nine and the whole round. 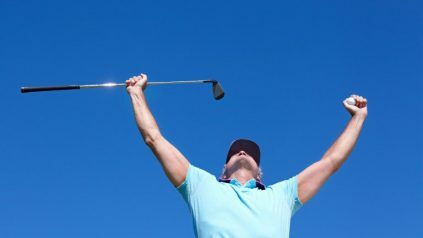 Condor – The rarest of all golfing birds – a score of four-under-par on a hole, so a hole-in-one on a par-5. Walking Sticks – An 18-hole score of 77, from the fact that 7s look like walking sticks… sort of. Captain Cook – Rhyming slang for a hook, after the old English explorer. Ronnie Shade (Ronnie) – Rhyming slang for a fade, after the old Scottish professional. Don Henley – An Eagle. Oscar Bravo – OB, or out-of-bounds. The double-cross – When you try to hit a fade but hit a pull-hook instead. Results tend to be poor. A flake – An 18-hole score of 99.